MOSCOW (Sputnik) - Russia will not report to NATO about the deployment of its Iskander ballistic missile systems in its westernmost exclave region of Kaliningrad as there is no reason for that, Vladimir Shamanov, the head of the Russian lower house’s defense committee, said on Thursday. "Why? This is our legitimate territory, we can do what we want," Shamanov said, when asked whether Russia would report to the alliance about the deployment of Iskanders. This comes as on Wednesday NATO Secretary General Jens Stoltenberg said that the alliance urged Russia to be transparent concerning the deployment of Iskander missile systems in Kaliningrad, located on the Baltic Sea. Shamanov confirmed on February 5 that Russia had deployed the Iskander ballistic missile systems in the Kaliningrad Region. The information was initially announced by Raimundas Karoblis, the defense minister of neighboring Lithuania, in an interview with the BNS news agency published the same day. Kremlin spokesman Dmitry Peskov said, commenting on the issue, that Moscow was not threatening anyone, but has the sovereign right to place weapons anywhere on its territory. 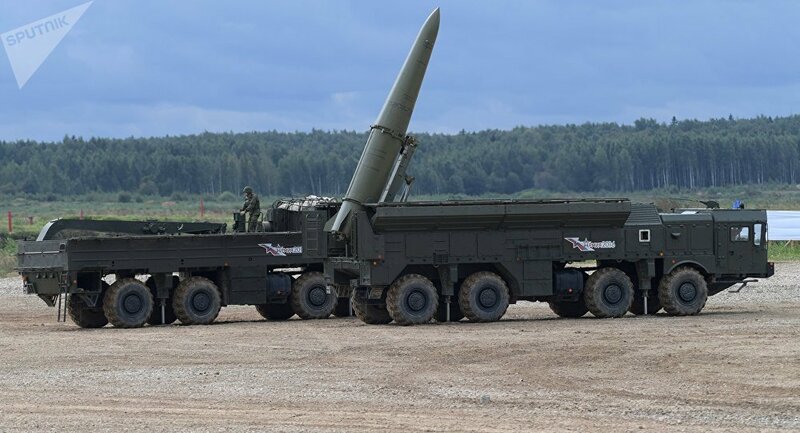 The possibility of deploying Iskander systems in the Kaliningrad Region in response to the deployment of NATO missile systems in Eastern Europe was initially voiced in 2008 by then Russian President Dmitry Medvedev, who currently holds the position of prime minister. Over the past few years, the United States and NATO have been increasing their military build-up in Eastern Europe and the Baltic countries, citing the need for protection from alleged Russian aggression.